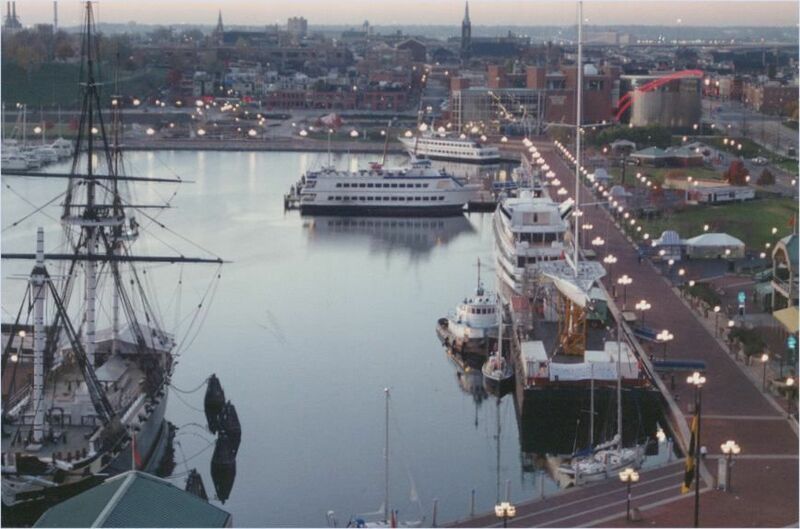 Booked a room overlooking Baltimore's inner harbor for our anniversary. Look what pulled up. Side note. Just after taking this pic, she wanted a pic of me walking up the gangplank. As I remember. Dropped my new $$$ Canon. Kaput. Heh-heh - now he has an airplane that big. I recall seeing that from my sister and BIL's boat as we were touring around and stopped at the Harbor for a bite to eat. Rodge - we're channeling each other. What! And you didn’t say hello? ^What! And you didn’t say hello? Woulda blown my cover - back in 1992 I had what later became Valerie Plame's job. I was a super dooper top secret deep undercover agent for an unnamed alphabet agency, just like her. I can say now that we were checking Trump for Russian collusion and possible yellowcake smuggling. We found some yellowcake, but it had mango-coconut flavor icing with walnuts in it...yuckkk. No danger to the Republic, because nobody would even try it, never mind buy it, so we let him go.